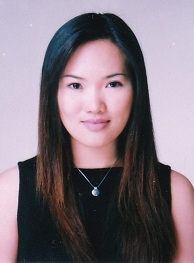 Zoe Pu is a certified Mandarin interpreter in the State of California. She is also an U.S. Federal Court approved Chinese interpreter/translator. She has been working as an English/Chinese translator and interpreter in southern California for the past 5 years. She does a lot of court, legal, business, conference, medical, and immigration interpretation and translation. Zoe Pu comes from Taiwan, where she obtained BA degree in Political Science specialized in international relations from National Taiwan University (the best university in Taiwan). She took many courses from the law school to broaden her legal knowledge. After pursuing double Master's Degrees in International Business and Advertising (Journalism College) from University of Florida, she came to California and has worked in English/Chinese translation and interpretation ever since. She reads and writes both Traditional Chinese and Simplified Chinese and doesn’t carry the typical “Taiwanese accent” to most of her client from China. Zoe Pu is also an experienced voice over talent, as she worked as a Chinese News Anchor and news writer at Jade TV station, a Chinese TV station which broadcasts locally, nationally, and internationally. (http://www.tvb.com/). Last but not the least, Zoe Pu is a licensed real estate broker in the State of California. Business & legal document, research report, medical report, Boucher, textbook, etc. -Selecting News from CBS feed, assigning news to writers, arraigning news rundown for production, editing headline news teaser.